Leverage digital channels to connect with prospective customers in an interactive and creative way. As people spend more time online, your marketing efforts should focus on the evolving habits of your consumer base. Because of the evolving nature of digital marketing and the specific needs of our clients, we recommend scheduling a consultation before narrowing in on a service. We are happy to help every step of the way. 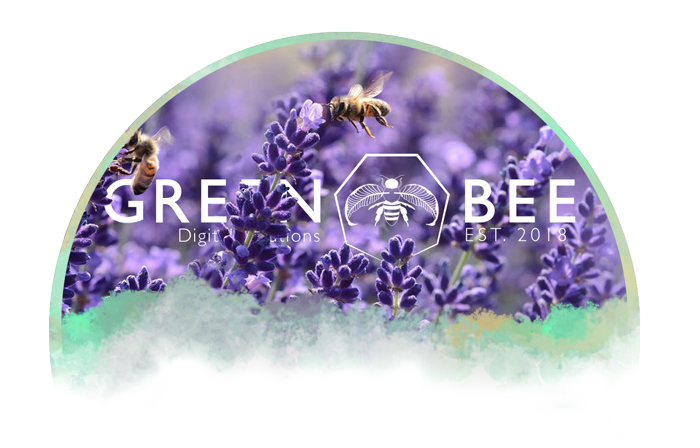 Green Bee has diverse experience in digital marketing services. Explore our capabilities and see how we can help bring more profitability to your business. Increase your business's visibility and brand recognition as we help you tackle the social platform. Not only does social media provide advantages through improved search engine rankings, but also boasts high conversion rates. These are a great marketing tool that allows you to drive traffic to your business. We can help you with integration and creating the perfect call to action. Give your website and your business a polished edge with personalized emails. Reach your customers with offers, updates, and events through our email marketing. Outrank competitors on search engines leaving your business a top option for potential customers. Since search engine results greatly impact the traffic to your site it is easy to see why SEO matters.